Klang Yew Huat Auto Parts Industries Sdn. Bhd. 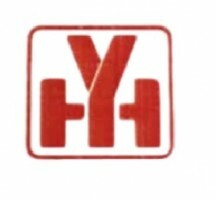 (Klang Yew Huat) was founded in 1977. It specialises in the supply of truck parts, in particular, for Japanese trucks, European trucks and trailer axle. Klang Yew Huat has evolved over four decades into one of the major global spare parts dealers through its dedicated and experienced team of personnel and has also diversified its business. It has expanded its business to supplying prime movers and tyres, and providing maintenance and repair services for prime movers. Today, Klang Yew Huat strives to continue to build on its track record of unparalleled experience and excellence, to accurately identify market demands and to efficiently meet its customers’ end.